I absolutely love this Revlon Highlighting Palate in Bronze Glow 030 and I am even wishing I had picked up the Rose Gold palate as well! I first heard about this from Lily and really liked the idea of a cheek product which could also be used on the eyes. I thought that this would be perfect for weekends away when you don't want to carry a lot of products. There are four bronze shimmery shades and a pale highlight to compliment the darker colours. At first I was a little sceptical at how much I would like such a sparkly range of colours but once applied my worries were soon replaced with feelings of love! I was really surprised at the pigmentation and how well the powders blended to leave a radiant bronzed sweep across my cheeks. 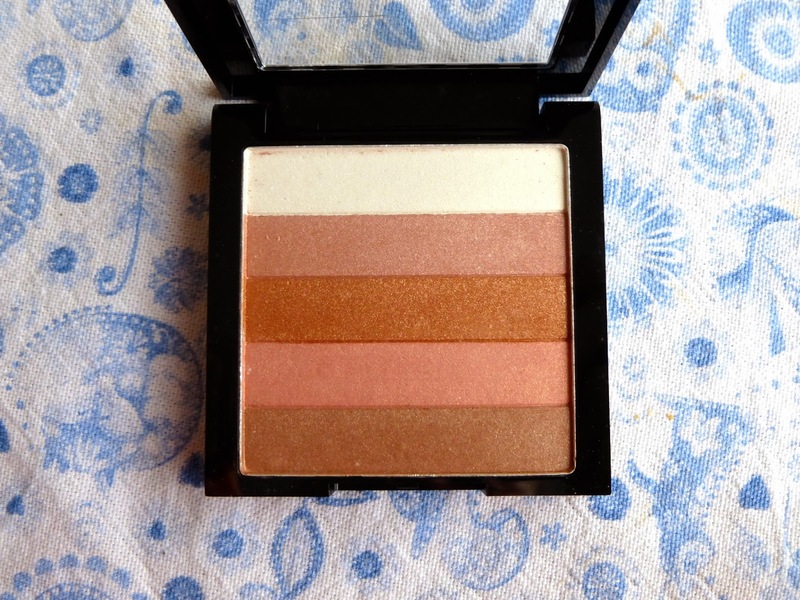 Now I would not apply this all over my face or as a contour but for a sun kissed look it is perfect. It is also the dream for people in a rush (read lazy if you are like me) as this acts as a bronze and highlighter in one. There is also a pinker shade which gives the a look a very slightly flushed hue so I sometimes don't bother with blusher either. It lasts pretty well but I have also found this perfect for in the afternoon when you need a slight pick me up as it really adds a glow back into your complexion. I did try it as an eyeshadow at the weekend and although the colours blended beautifully together they did crease after a few hours. Maybe with a primer or paint pot underneath this would not happen but I am yet to try this combination. 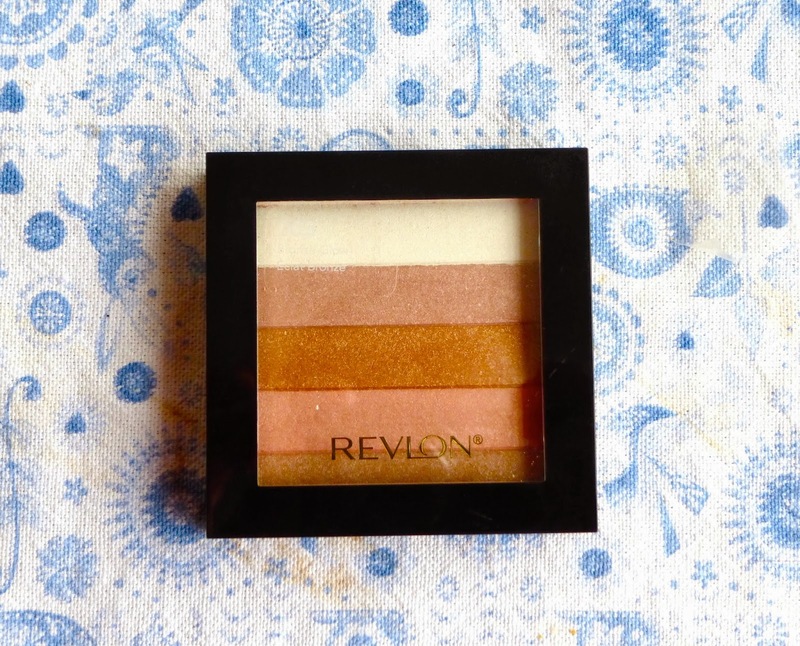 I have been thoroughly surprised by how much I adore this Revlon Highlighting Palate and think it will be a firm favourite during the summer to give my skin that warm sun kissed glow. For £8.99 I think it is definitely worth the purchase and I will be probably be purchasing the pinker version Rose Glow on my next visit to Boots. What did you think of this Revlon offering? I picked this up a couple of weeks ago but didn't purchase as it looked so glittery, maybe I need to take another look! Its very nice colors those colors work so well together with so perfect days! ! best safety institute in chennai|Industrial safety college| fire and safety training in chennai|iosh ms course syllabus|nebosh courses in Indianice post!